Packed full of delights, discoveries, and disruptions. Whether you are a long-standing Fringe fan, or are discovering the festival for the first time, you're in for a treat. A feast of the best entertainment from around the world, some of the most exciting work being made on the planet, and shows of all art forms, from artists at every stage of their careers from all over the world. 2017 was the 70th anniversary of the Fringe! 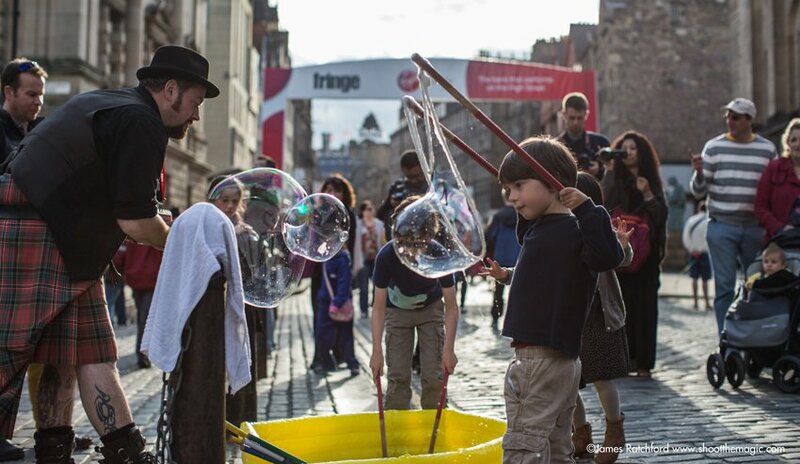 The Fringe Is Home To The Largest Gathering of Street Performers In The World! Pick up a paper copy of the Programme. 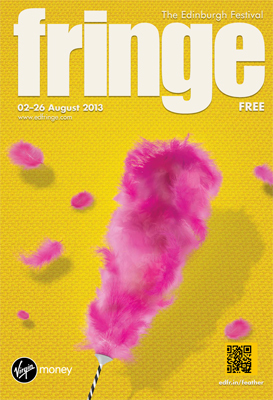 Paper copies of the Edinburgh Festival Fringe Programme are available from the Fringe Shop at 180 High Street, Edinburgh, and from a large number of outlets. The population of Edinburgh will double in August, with visitors from all over the world joining the festival excitement! Most visitors to the Fringe decide on the day which show takes their fancy. But not to be disappointed you can buy tickets in advance from The Fringe Box Office. During August the streets of Edinburgh�will be bustling with people ready to party the night away. In between seeing some comedy, a spot of theatre and a band or three, make sure you've got your dancing shoes on. Most pubs in Edinburgh gear themselves up especially for the fun and games of August, staying open until 5am and sharing the Fringe spirit. Edinburgh is one of the UK's most�beautiful cities, making it a unique backdrop for the world's largest arts festival. Crack the Da Vinci Code by heading to the Roslyn Chapel, climb Arthur's Seat for the stunning views, or explore Edinburgh Castle. There is so much to see in Edinburgh! We recommended you book accommodation early to get the your choice of hotels and early deals (hotels in Edinburgh). Whether you decide to stay in the city centre near to the castle or on the fringes, there is a wide choice of accommodation. - edfringe.com - Buy tickets and order your programme.